In local Jewellers with HRH and fell into conversation with the owner about watches etc. (He’s a WIS purveyor on the side of his normal business). ‘I’ve got something here you might like’ he says! Well ended up buying for my 60th (next year BTW) an 50th anniversary Speedy, in box, un-worn. 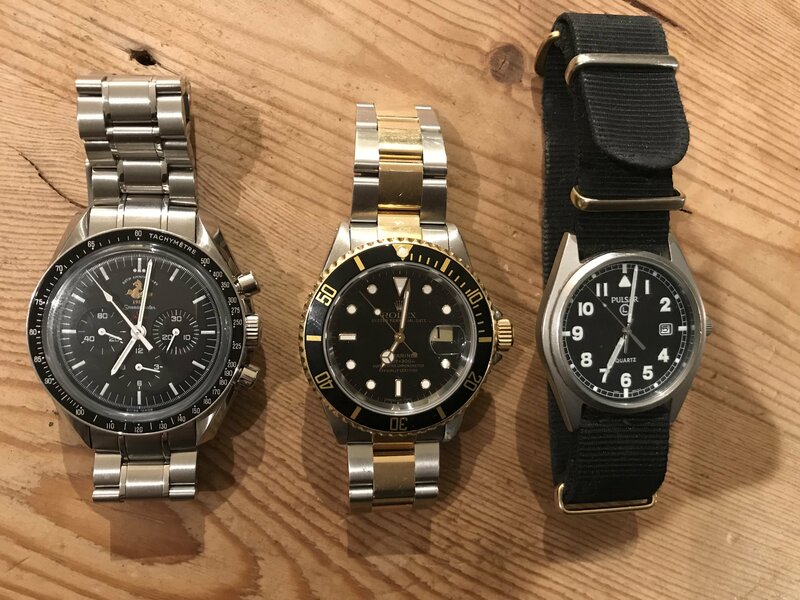 Now just need to sort the Seiko dive ‘beater’ I was originally looking for! That's a pretty cool toolwatch collection. Can't think of anything I like that's missing.